The birth of a child should be a joyous occasion in every parent’s life. Unfortunately, for every 1000 newborns, seven will sustain some form of injury during childbirth. This can be a very difficult experience for parents to cope with. Along with emotional toll, they may incur expensive medical bills as a result of the injury. This situation is made worse by the fact that many of these injuries are often preventable. That’s why it’s important to consult with a birth injury claims attorney in New Jersey in these circumstances. Our dedicated NJ birth injury attorneys at The Rothenberg Law Firm have handled these types of cases throughout the state for decades. While we approach them with professionalism and vigor, we also understand the distress parents typically undergo after a child experiences a birth injury. The compassion of a birth injury claims attorney at our New Jersey firm is what drives us to ensure parents and their children get the representation they deserve. If you believe you have a case after your child’s brachial plexus injury or other affliction, a New Jersey birth injury attorney can relieve some of the burden you may be shouldering. There are many factors that may contribute to birth injuries, even if the mother’s pregnancy was generally healthy. These types of injuries can also occur before, during, and after childbirth. What Types of Mistakes May Occur Before Birth That Cause a Birth Injury? Medical professionals may fail to plan for a delivery adequately. Signs of a baby experiencing medical complications or distress are not identified or acted upon. The fetus’ mother exposes it to dangerous chemicals in the workplace. The birth mother takes prescription drugs which may harm the fetus. Medical professionals may apply excessive force. For example, using forceps during delivery when doing so is unnecessary. Medical professionals providing negligent care during labor and delivery. 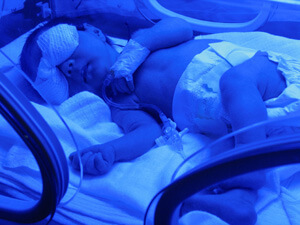 The baby’s brain does not receive sufficient oxygen during labor and delivery. Attempting to deliver a baby with a high birth weight vaginally when doing so may be unsafe. The baby presents in a position which may result in complications during delivery. How Can a Birth Injury Claims Attorney in New Jersey Help? Understandably, many parents feel overwhelmed when a child is injured during birth. While struggling with the emotional difficulties of the situation, they may also have to consider how they will pay for future medical treatment. If you’re in this position, the NJ birth injury attorneys at The Rothenberg Law Firm can help. Call us at 1-800-ROTHENBERG or contact us online to schedule a consultation. Your initial consultation with a birth injury attorney in New Jersey is FREE. If we choose to represent you, we’ll never charge any legal fees unless we succeed in getting compensation for you first. You need to know that the Statute of Limitations requires you to file a lawsuit within a certain timeframe. Failure to do so could result in waiving your right to compensation. Contact a New Jersey birth injury claims attorney at The Rothenberg Law Firm now to avoid this consequence.